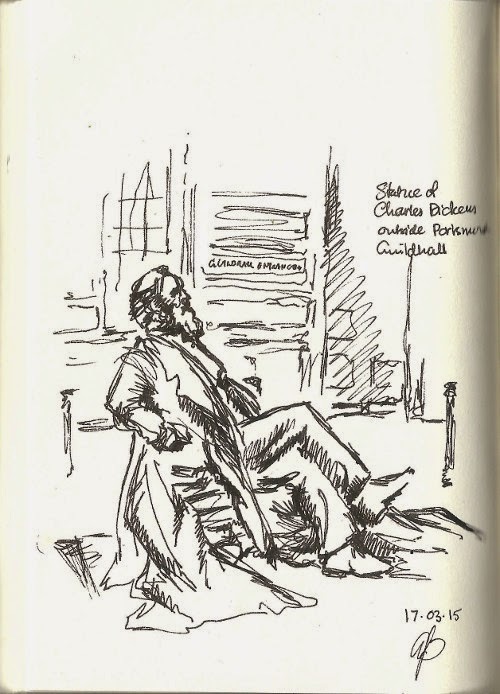 Statue of Charles Dickens outside Portsmouth Guildhall. The author was born in the city. My drawing: Rotring ArtPen in A6 book.